Get your customized drawing of yourself and share it to the world! Get your customized cartoon drawing of yourself and share it to the world! Did you know that you can promote your business and increase sales with a fun and corporate cartoon avatar of you and your team? Yes, custom and hand-drawn avatars are more effective and engaging than normal pictures when used as personal and business profile pictures. With a simple description, our professional and experienced artists can create as many cartoon drawings as you need in 100% vector and high resolution. Why use Cartoon Avatars instead of Pictures? Using your real photos as profile picture can be too revealing for those who are very conscious of their privacy. In case you’re not very comfortable using your photos as a way to represent yourself, you should simply cartoon yourself and use the resulting cartoon drawing as a replacement. You can bring a playful edge to your next post or project using cartoon drawings. You may have noticed that it’s more interesting to read posts and comments that are accompanied by a custom cartoon photo. It also makes the comment stand out and makes your readers revisit the post numerous times. Cartoon drawings can be effective for the website and social media engagement, but it also makes your website viewers more likely to come back. This is because a website containing unique cartoon drawings is more memorable. Why to avoid online avatar generators. You can tell many things about a person based on their avatar. This is due to the fact that they are carefully chosen most of the time, and these represent something their owner wants to be associated with. Rather than using an avatar made by an online generator, which produces a poor, hardly unique result, with no soul. We suggest a cartoon profile picture, drawn by a skilled illustrator. This will result in something that will stand out among the countless cartoon avatars generated by websites, which use outdated templates. Avatars are used to give you a visual presence in social media, gaming, or any other media that you can think of. By getting a hold of a custom cartoon avatar, in addition to standing out you can express yourself easier than you could with a picture. 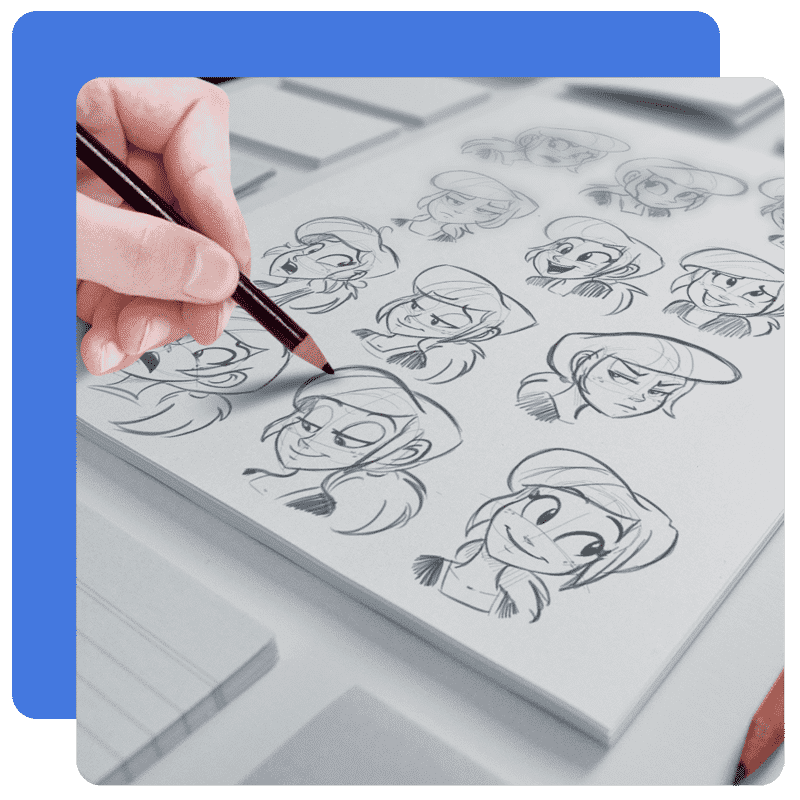 The artist has more freedom when creating hand drawn avatars, since he can change facial features seamlessly to make it more appealing, or cute. This step is necessary in order for us to understand you better, to help us paint a picture which truly reflects you. Completing this step means your new avatar will take shape in a few days. Just sit back and relax while we work on it. By today's definition an avatar is a graphical illustration, or a picture that represents its user, or an alter ego online. They are an essential part of every day online interactions between people. Nowadays when someone mentions the word avatar there are two things that most likely pop into your head. One are tall, blue aliens from the movie made by James Cameron, and the other is a digital picture. The second option was coined not too long ago in 1985, and since then it entirely took over what people associate the word with, and became its primary meaning. Before the rise of the internet, avatar meant descendant, an incarnation of divinity, a soul freed from delusions, or manifestation of god. This meaning originated from Orthodox Hindu beliefs. 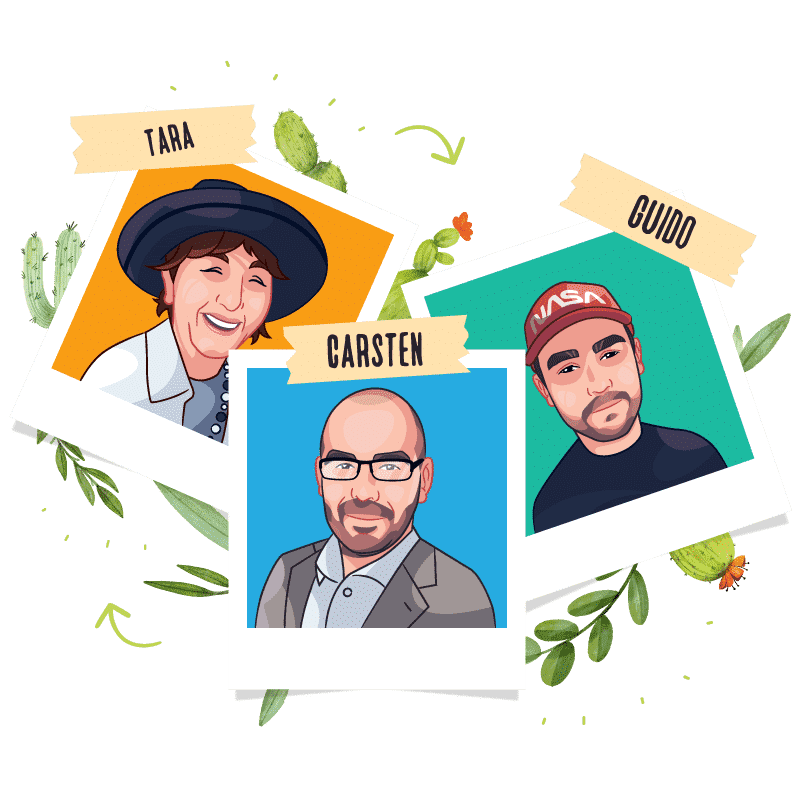 Get your customized cartoon drawing of yourself and share it to the world!Did you know that you can promote your business and increase sales with a fun and corporate cartoon avatar of you and your team? Yes, custom and hand-drawn avatars are more effective and engaging than normal pictures when used as personal and business profile pictures. With a simple description, our professional and experienced artists can create as many cartoon drawings as you need in 100% vector and high resolution. Art Director @ Eightonesix Design. "Getting one was the best $30 I spent in a long time. This is the best avatar I EVER had, thanks you so much. Professional work I can only recommend getting one." Human Resources @ Invidio Co.
"Our team is spread out thinly throughout the world and we can't take a group picture. Thanks to the team of avatoon we could resolve this problem by bringing us together through a drawing."